Although the overall tendency for screen sizes of Android handsets is to go up, it seems phone makers aren't willing to forget about the not so tech-savvy users who would actually prefer having a more compact device. 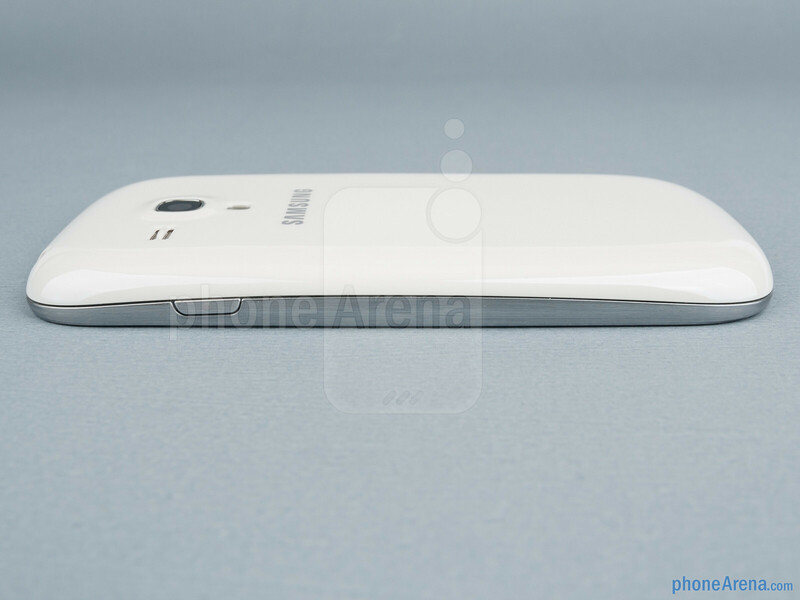 The Samsung Galaxy S III mini is a perfect example. 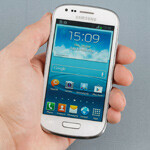 It's designed to bring most of the goodies of the Galaxy S III in a significantly smaller form-factor. However, the S III mini is more intriguing than your typical mid-range model, as it has the privilege of being named after one of the best and most popular Android phones around. When we first caught wind of the S III mini, many thought that it'll still be a very high-end model, only with a smaller screen size. Now that all about the device is known, some seem to be disappointed by the phone's mid-range specs. To tell you the truth, we don't know why that is. 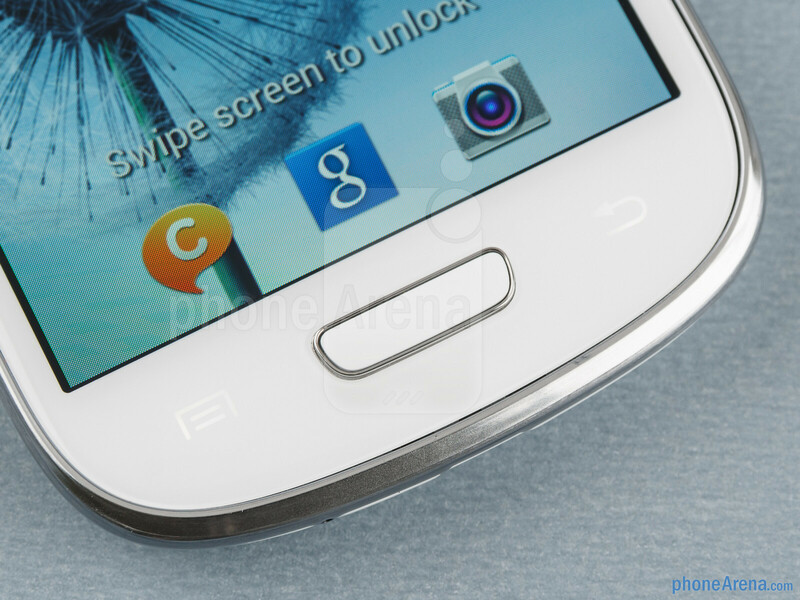 We feel that the Galaxy S III mini is an awesome 4” smartphone with a lot of potential and very few flaws. Let's examine it closely and see where it excels and where it falls short! Isn't it obvious? 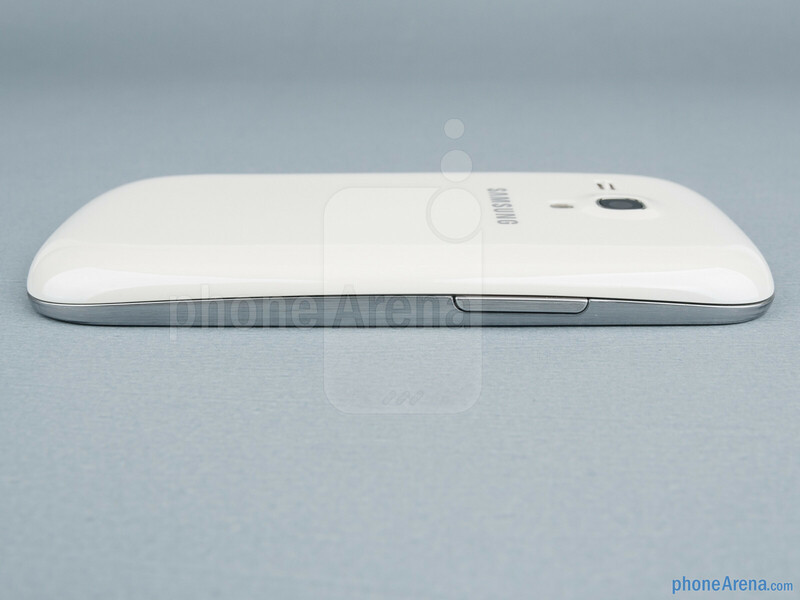 The Samsung Galaxy S III mini's appearance is super-inspired by its bigger sibling, the Galaxy S III. 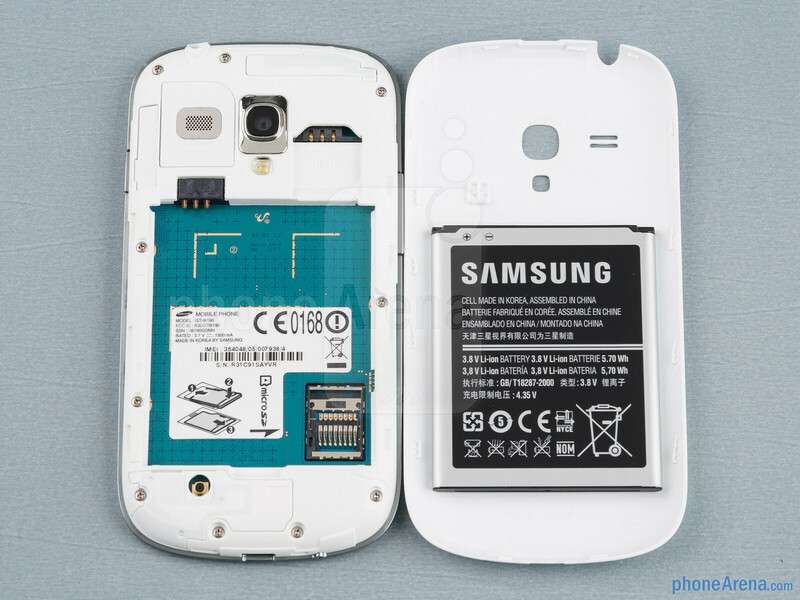 If you don't look closely, you might even think that the S III mini is simply a shrunken version of the GS III, but that would be wrong. Thanks to some minor changes like moving the Home button a bit higher on the S III mini, Samsung has managed to achieve a more pleasing look. 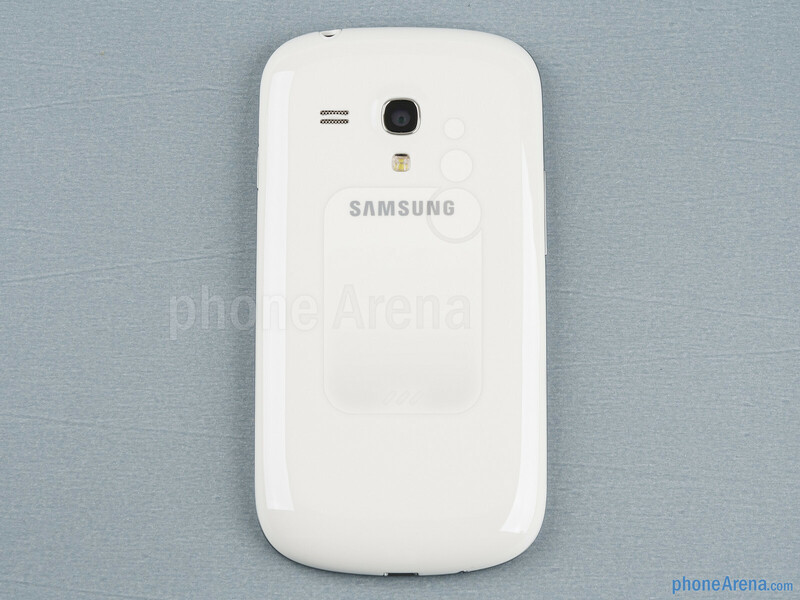 Overall, the handset is pretty good-looking, with its white version being perfect for women. You can compare the Samsung Galaxy S III mini with many other phones using our Size Visualization Tool. 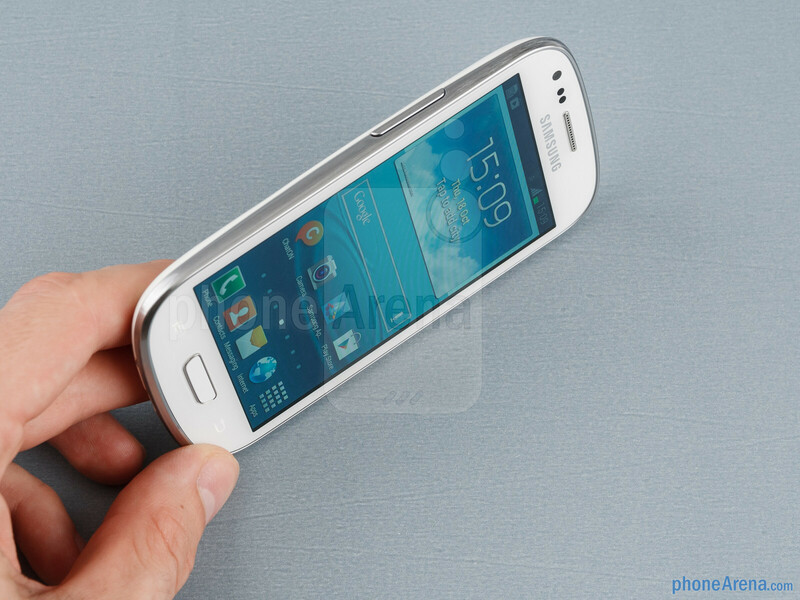 Thanks to the compact size and rounded edges, the Galaxy S III mini is extremely easy to hold and operate. Using it with one hand only is a joy and doesn't give you any sense of discomfort. We guess we won't surprise anyone if we say that the phone's casing is entirely made of plastic. While can't find too many advantages to that, we kind of like the fact that Samsung has used a nice, glossy plastic, as opposed to a soft-touch matte finish that can often give you the feeling of dirty hands. The physical buttons of the S III mini, which includes the Home, Volume and Lock keys, all function fairly well, although not perfectly. We would have liked them more if they were a bit “clickier,” especially the Lock key. The metallic border that is around the Home key also makes pressing it a bit uncomfortable, but this is being close to nitpicking now. By the way, we aren't fans of how the capacitive Menu and Back buttons completely disappear when they aren't lit up. This is also present in the Galaxy S III, and, well, we guess that you get used to it at some point, but it simply doesn't feel very “natural,” or... normal. 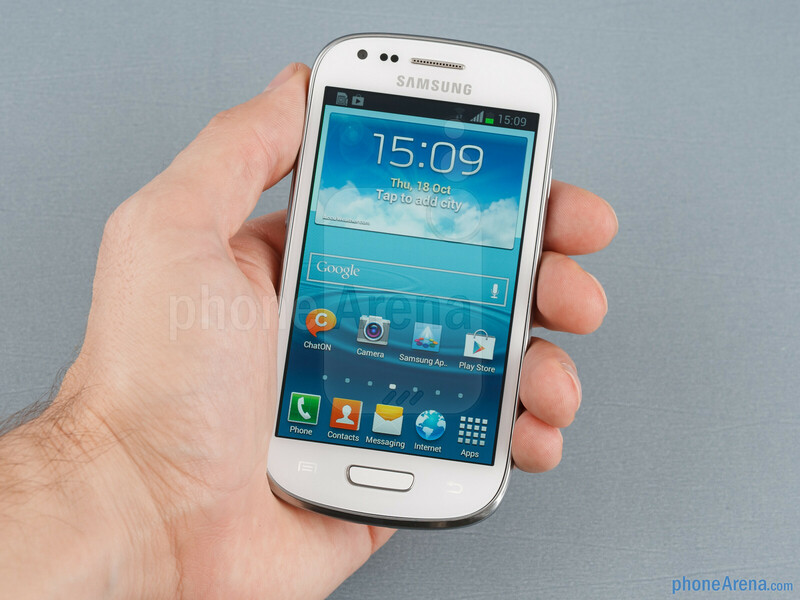 So, the most interesting thing here should be the 4” screen size of the Galaxy S III mini. We have to say that we quite like it. In fact, it seems perfect for most basic stuff that one can do on a smartphone, like using the organizer features, browser, camera, etc. 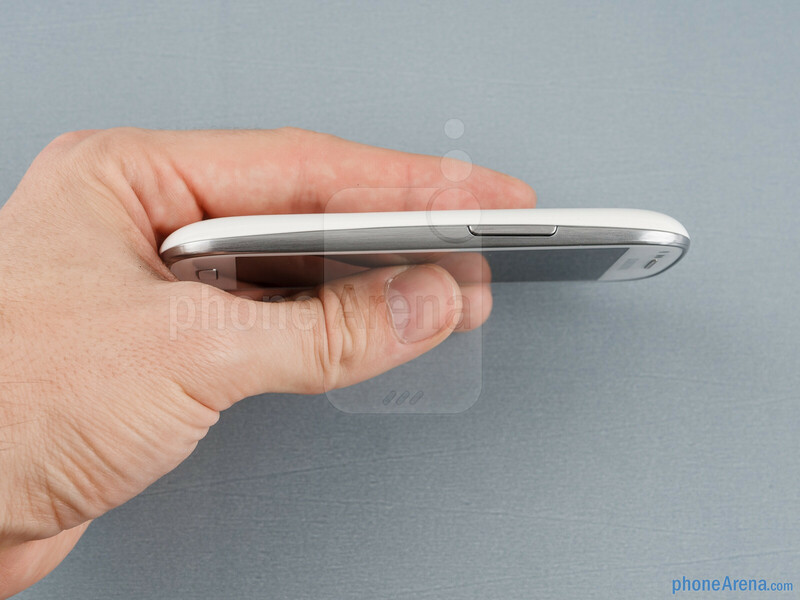 Well, if you are a heavy user, who plays a lot of games, or watches a lot of video, or simply uses their smartphone as their main computer, then we'd recommend getting something with a bigger screen, like the GS III or One X or Note II, but in most other scenarios, where you're using your phone as a phone, organizer, social networking device, some web browsing and the occasional game, we think the 4” display of the S III mini is big enough to provide a comfortable experience. 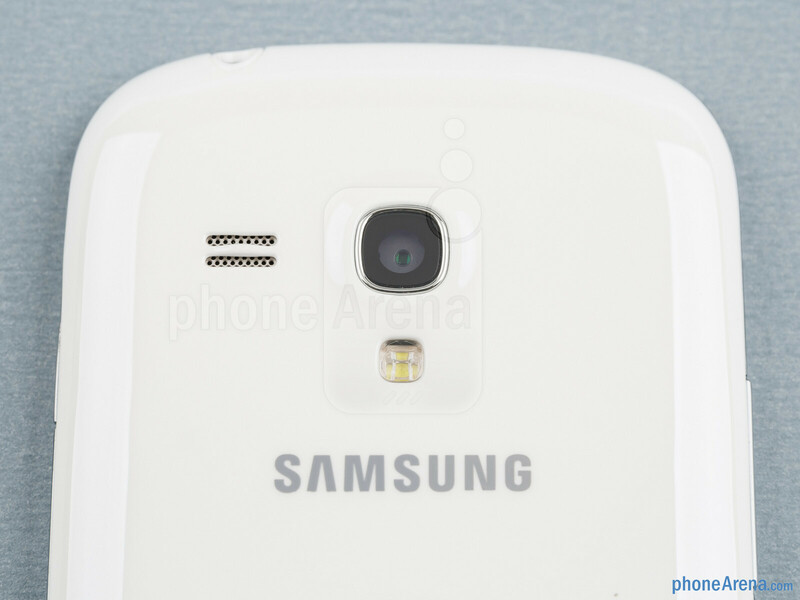 One of the things that people didn't like about the S III mini is the WVGA (480 x 800) resolution. Sure, it won't blow you away, especially when 'HD' screen have almost made their way to mid-range devices nowadays, but one thing we have to note here is that what's important is pixel density, not the resolution itself. In the case of the GS III mini, the pixel density is 233 ppi which means that almost everything on the screen is fine-looking. It's certainly not a Retina Display, but it's still good enough to provide a comfortable experience. So, it's not right to simply compare resolutions; you have to factor in the eventual difference in screen sizes as well. One thing that certainly isn't helping this display is its PenTile pixel arrangement. Because of that, one can notice individual pixels easily if they look closely at the screen. Some colors are particularly prone to appearing dotted due to the PenTile matrix. All in all, though, as we said above, the experience is still pleasant. The S III mini's display uses the Super AMOLED tech, which means that its colors are very saturated, while the contrast levels are really high. It's one vivid, yet somewhat unnatural screen. Outdoor visibility isn't very good, just like on most other AMOLED screens. If you shield the display with your hand, though, you'll be able to make out the stuff on screen. oh haha just because this is a samsung it gets 8.9! Yay!! !,,,, And Sony has better phones for cheaper prices than this also better looking.. so biased.. Seriously dude... phonearena is extremely biased especially Ray S.
nice review Ray. i think its a very fair rating considering its a mid range device. Nice review ??? lets see, Sony Xperia P, mid range device, 4inch 960x540 screen res, 8mp camera, 1080p video recording, aluminium body, almost same internal specs, 320$ bucks unlocked in Amazon...and STILL this "mini" gets a better score ?? seriusly PhoneArena, your bias against Sony is horrible. Hey! 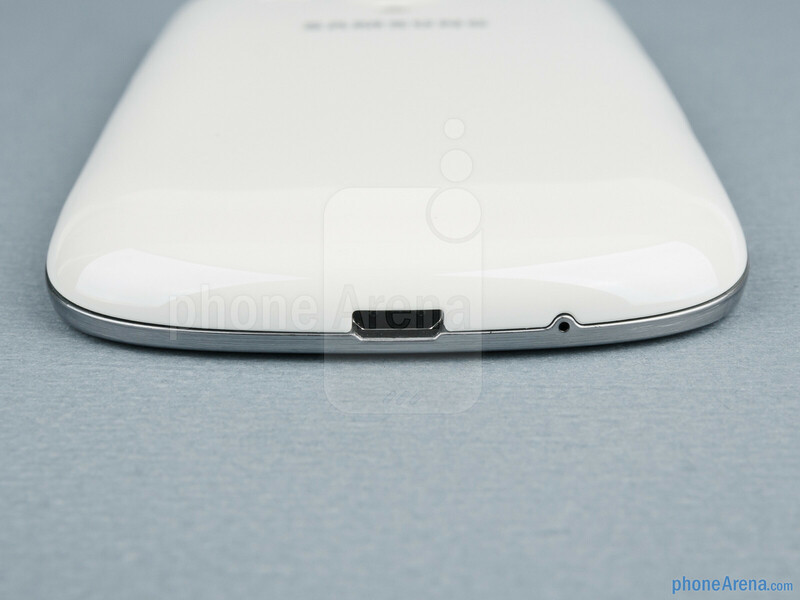 Lets look at xperia p. Its unremovable battery, battery only 1305 mAh, no sd card slot!! Its fair!! WTF.so this is better than Xperia T? Enough!!! I'm tired of hearing about how Sony does not get what it deserves...go bark somewhere. This is a mid-ranged phone for Pete's sake, and you're comparing it with T??!! I'm not a Samsung fan nor a Sony fan...nor do i hate them. But this has got to stop! I won't buy this phone but I think this is quite a fair rating... And IT DOES COME WITH JELLY BEAN out of the box!! 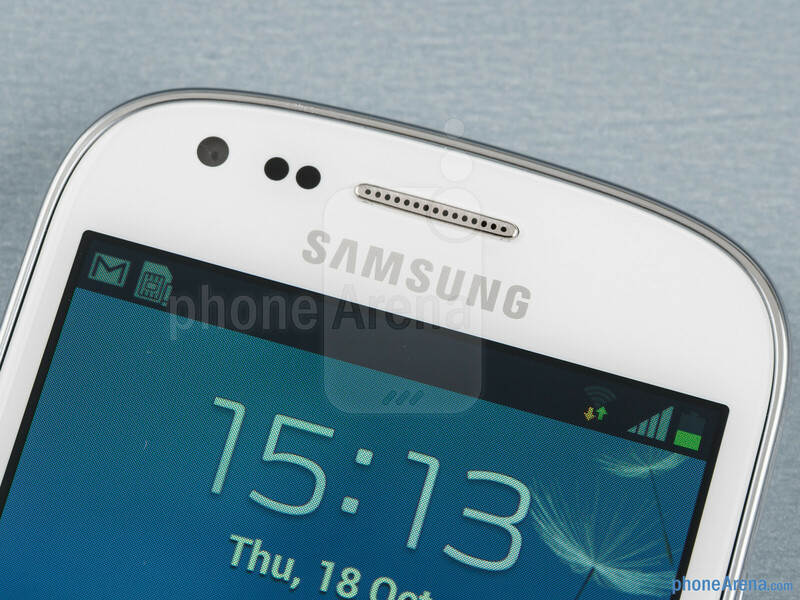 If that is how you rate phones please explain how you are unbias towards the GS3. 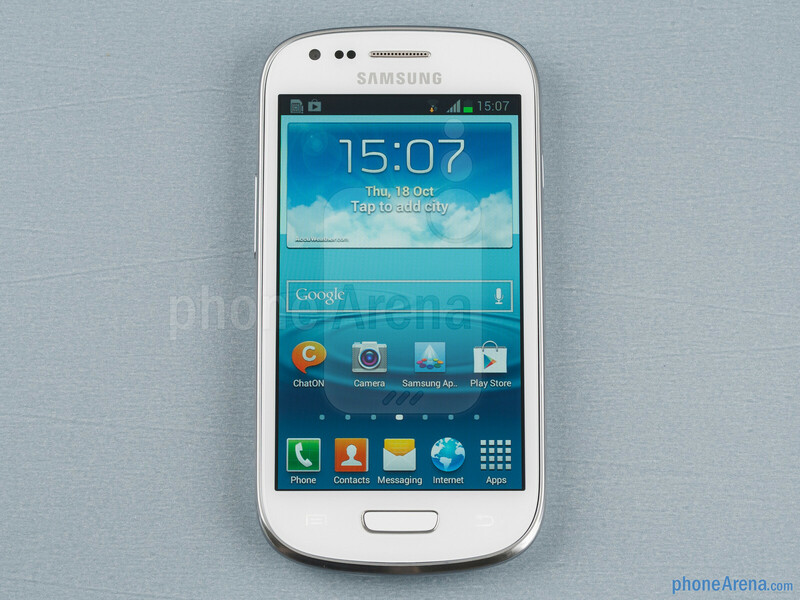 The GS3 Mini is a dumb version of the GS3 model so it's clear that they are in different classes. So for it's class you'll give it a 8.9 which is ridiculous when you compare it to some other recent phones in it's class like the GS Relay 4G. You'll gave that phone a 7 when it is clearly better than GS3 Mini. If the GS Relay's bulky size is it's only flaw, guess what? It has a physical keyboard. 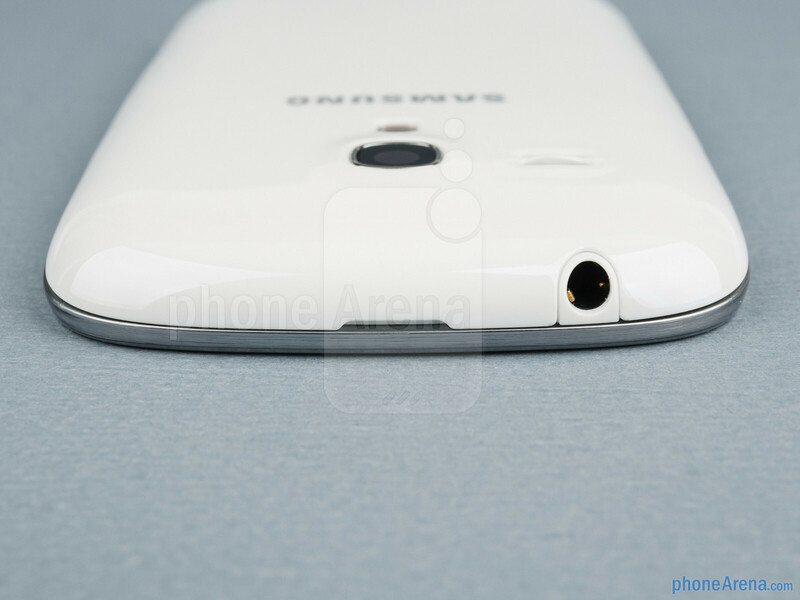 You'll gave this a phone a 8.9 just because it looks like the GS3. Completely bias if you ask me. Josephnero...do some research before you bark those comments at some one and embarrass yourself!!! ok.i adimt i was wrong and iam sorry about it.but you really need to learn to be polite. And I suppose telling people to "STFU" is polite, is it? Yo, Joseph... So according to you 'STFU' is more polite than my "I'm tired of hearing about how Sony does not get what it deserves...go bark somewhere."?? Mind you, i don't use those words to anyone irrespective of how they reply to my comment. If anyone here needs to be polite here, it's YOU. I'm correcting your speech as "THEY have no sense of criteria at all"- you meant it that way didn't you?? :P Every review i read, i see them complaining about how Sony Xperia phones are downsized here...i agree they manufacture cool phones but everything has it's up and downs...how i wish i can explain how every phone is not the same! So you guys are tired of people wanting to see equality? Is that what your saying? I think its only fair to keep putting it in their face until someone says "you know what? THEY"RE RIGHT"!! Won't say anything...you know better what i'm trying to say!! ummm no what are you trying to say? what i see is them constantly disappointed with biased reviews and them just asking for equality......whats wrong with that? This phone should most definitely have received nothing higher than a 7.5 but they feel the need to make it higher and on the same level as true flagship phones...... Now if classification is what is missing here then PA needs to jump on that and stop making it seem as if every phone is basically being compared to true high end phones when we all know this phone isnt as high end as per say....The Sony Xperia T?......maybe? Forget about Raw specs. Any Jellybean Android device will perform smoother than Xperia T. Maybe this was the reason for the higher score. Repacked Galaxy S Advance, which is not even on par with Galaxy SII, yet it bears Galaxy SIII name for marketing purposes. So much for the Samsung not cheating customers... However, it does look very good and shows how enormous screens don't make much sense, especially when you are bragging how "natural" your design is. If only we got true high-end device in this size, it would be a real miracle for the Android industry. I've also played around with this phone, and the 4-inch form factor coupled with the S III design is a treat. Jelly Bean makes for a very smooth, polished user experience, so you wouldn't notice the otherwise mediocre processor most of the time. One thing I don't like about this is that it has features like S Voice which are light years away (not in a good way) from Google Voice Search, but except for that all along a very solid device. Which phone do you use? You are such a short sighted, conservative mind actually. Try having an S3 for a while and then talk about big screens making no sense. Let me remind you that first galaxy s was the same size as this and was truly a high end product.. yet it's the Galaxy s3 that had unprecedented success. The miracle you talk about already happened. Victor knows what he's talking about, darac.